In this 3 hour exercise, Alice Park will will lead our panel of speakers in a unique forum designed to create effective and impactful marketing campaigns for the 2017 calendar. The session will focus on turning goals into action and creating deliverable marketing and social media campaigns. Attendees will each receive the exclusive NAPCP marketing planner, which will aid in tracking individual success, as well as constructing attainable yearly and seasonal goals. Our panel of experts will discuss seasonal campaigns that worked well for them, how to retain profit during the “slow season” and the importance of creating engaging, relatable content via blogs, websites, email campaigns, etc. year round. And the best part? Each attendee will leave the NAPCP Retreat with a clear vision of their goals, their complete 2016 marketing calendar planned and clearly laid out, and dozens of supportive, industry peers that will keep them accountable with their plans. 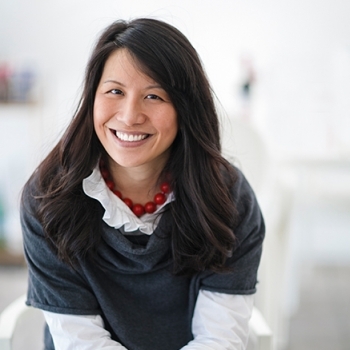 Co-founder of the National Association of Professional Child Photographers (NAPCP) and founder of Alice Park Photography in Atlanta, Ga., Alice is a passionate creative, entrepreneur and industry influencer. With more than 10 years of first-hand experience growing two global businesses from the ground up, Alice is an expert in the needs and challenges of running a successfully branded business. Her experience has resulted in heartfelt insight into the nuances of a company’s culture — from networking to design to customer service. Along with her husband Kyu, the husband-wife team is committed to giving back to the international network of specialized child photographers who have supported them so strongly over the past decade. © National Association of Professional Child Photographers|ProPhoto5 Design by Northfolk & Co.